This novel is unusual because you know the outcome (more or less) from the beginning. 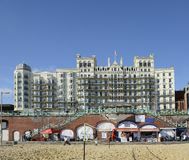 It’s a fictionalized version of the bombing of the Grand Hotel in Brighton, England in 1984 during the Northern Ireland conflict, “The Troubles.” The British PM, Maggie Thatcher was holding a conference there at the time. The story follows three fictional characters: the assistant manager of the hotel, his teenage daughter, and a young man who helped set up the bomb. The father, “Moose” Finch, was into sports in school and was a diver and coach as a young man. He moved into hotel management in order to support his daughter, Freya, after his wife left them. There is typical tugging between father and daughter. He’s so busy with the nitty-gritty of the hotel that he doesn’t really know what’s going on in her life. He nags her about continuing her education, registering for university. She doesn’t know what she wants to do with her life—maybe travel. Freya has a brief affair with “Surfer John” who works at the hotel and her dad is completely unaware. Moose is wrapped up in details for the upcoming PM visit. Dan is a young man from Ireland who has reluctantly become involved with radicals in the ongoing upheaval in Northern Ireland. He and his mother are one of a few catholic families occupying a home in a protestant neighborhood in Belfast. He keeps trying to convince his mother to sell her house and move. He is recruited to travel to Brighton to help set up a bomb in the hotel in advance of the PM’s visit. He meets Freya and likes her. She keeps popping up in his thoughts as the time for the bombing nears. This a story about the characters involved in the event more than a story about the event. It wanders a bit. It took me longer to finish than the fast-paced mysteries and thrillers I like to read. But I did enjoy it.